Colomb and Rajbag beaches. 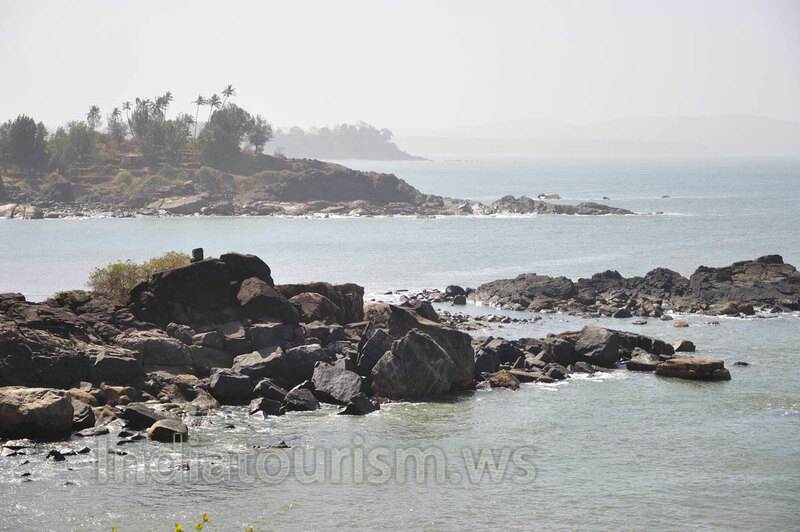 South of Palolem, a walk along the shore over rocky outcrops gives access to attractive sandy coves of Colomb Beach with huts of the fishing community nearby; some take in guests. Further south after wading across a stream (possible before the monsoon) you reach the unspoilt Rajbag Beach backed by dunes and casuarinas, remains virtually unvisited and provides excellent swimming. All this was changed in 1999 when the A Bharat-Hilton Resort with 280 rooms was opened.